Semarak SDJ’ is an event that has been held for over 10 years in SMK Dato Jaafar in hopes to strengthen the bonds between the students and to help the students understand the different events and cultures of their peers. Recently, several events depicting multi-racialism were held at the school such as the ‘Pesta Angpao‘,’Pesta Ponggal‘ and ‘Maulidur Rasul‘. The ‘Pesta Angpao‘ was held to celebrate a year of hard work and to wish the students a lucky and prosperous year ahead. Various performances were held to entertain the students such as Martial Arts, 24 Festive Drums, Chinese Calligraphy Art, Chinese Riddle, 财神爷(God of Wealth) and ‘Tai Chi’ which were presented by the students themselves. Mohammad Hanafi Bin Samad, the Principal of SMK Dato Jaafar also joined in the cultural events and gave out ‘angpao’ packets to the students. The students also prepared a talk about the origins of Chinese New Year and the importance of it that made the students understand more deeply about this festival. 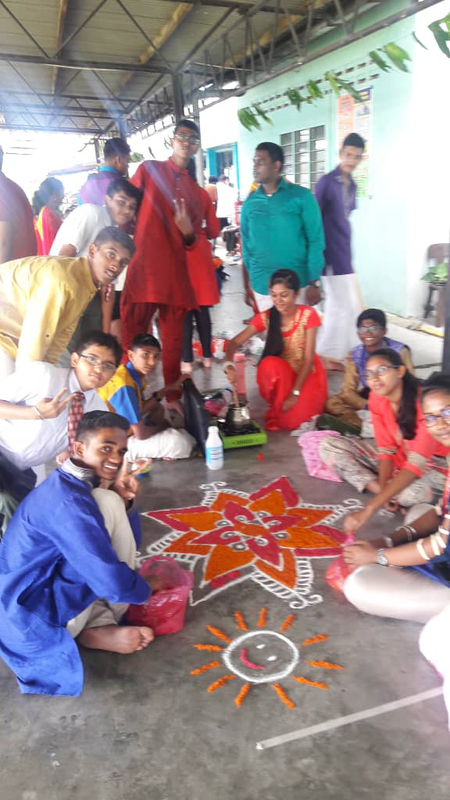 ‘Pesta Ponggal‘ was also held at the same time and was carried out by the Indian students and teachers of SDJ. There were competitions held such as ‘Ponggal‘ (milk rice) cooking, ‘Kolam making’ as well as pot painting competitions. The students were divided into groups and were given one and half hours to carry out these activities together. There was also a traditional music performance by the students to help them get into the festive spirit. The principal once again joined in the festivities and took part in the ‘Uriyadi‘ which means breaking a pot and taking the eatables inside it! The students were extremely excited and showed great teamwork and had a great time eating and celebrating with their friends. Over at the ‘Dewan Jaya’, the Muslims had celebrated ‘Maulidur Rasul‘, a day to celebrate the birth of the Islamic Prophet, Muhammad S.A.W which is commemorated in Rabi’ al-awwal, the third month in the Islamic Calendar. 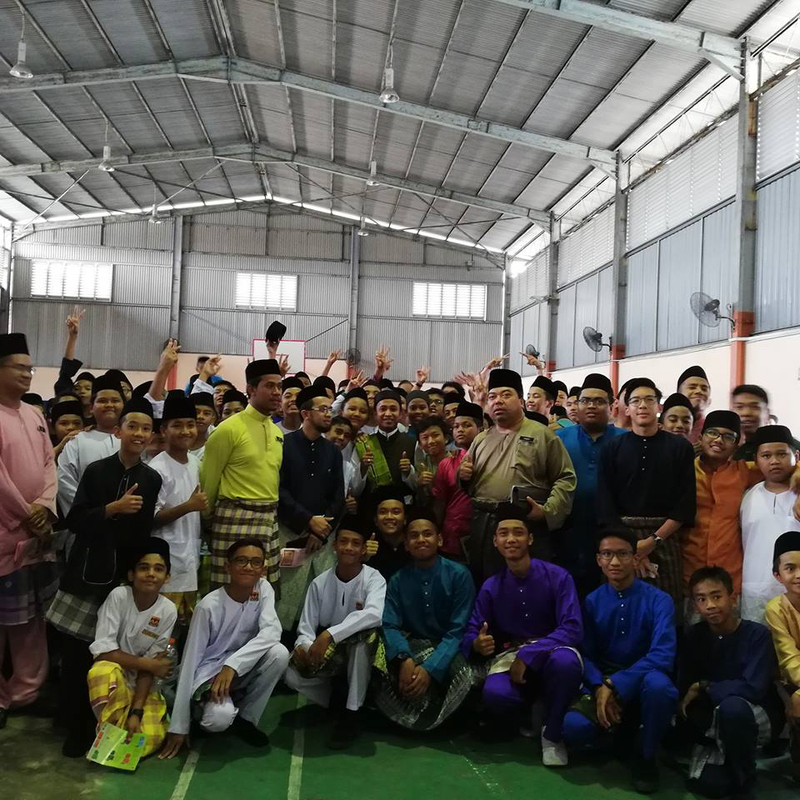 The school had invited one of the most famous Islamic preachers’, Mohd Zainuddin Bin Mohamed Zaini or more familiarly known as PU Yeop. The event started off with the recital of a Surah followed by a performance from a nasyid group. All students came to school in their traditional attire and the events were successful and joyous, reminding students to appreciate, respect and understand better theirs and others’ cultures and beliefs.